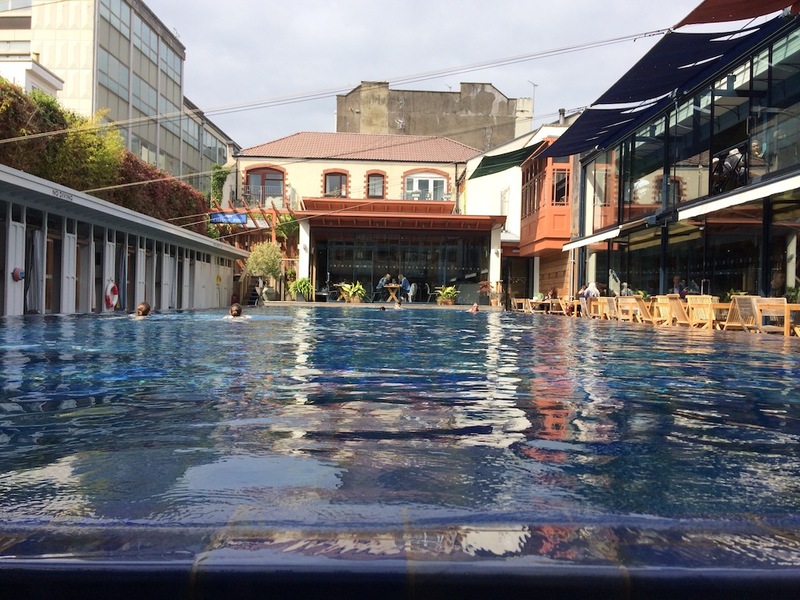 The Bristol Lido, hidden amongst the pastel-coloured houses of Clifton is the closest you’ll get to the Med in the city – with infinity pool, spa and poolside cafe, restaurant and pizza oven – read our review. Head for some Art Deco swimming at the Greenbank Heated Outdoor Pool in Street. Built by the philanthropic Clarks family (you probably wore a pair of their shoes as a kid), it opened in 1937 for local women and children to swim in while the men – oo-er – swam naked in the river Brue. It’s still got that retro feel – there’s a 30m main pool with a deep end for diving, a children’s pool with a slide and a splash area for younger kids. Portishead Open Air Pool is impressively huge and the views across the Bristol Channel from its sun terraces are said to be fabulous. The pool, built in the 1960s, was given an extreme makeover on TV by Ty Pennington’s Great British Adventure in 2009 and is looking good. You’ll also find lidos in Shepton Mallet, Wiveliscombe and Tintinhull (ignore the note on the website saying it’s closed, although opening times are limited). Clevedon Marine Lake is a sea water tidal pool on Clevedon seafront, dating back to 1929 and re-opened after restoration a couple of years ago. The lake’s around 250m x 100m, shallow around the edges and about 3m deep by the sea wall, with a splash pool for younger children. Run by volunteers, it’s free to use – you can swim or take your kayak, canoe, paddle board or dinghy, or rent a little rowing boat. Photo: Jordan Whitfield on Unsplash. A firm Muddy favourite – Tarr Steps, near Dulverton in the Exmoor National Park. An ancient stone clapper bridge crosses the crystal clear waters of the river Barle with shaded wooded walks, shallows for paddling, deeper section of water for swimming and an excellent pub, the Tarr Farm Inn on the banks, for lunch if you can’t be bothered to bring a picnic, and long, cool drinks. Farleigh and District Swimming Club at Farleigh Hungerford near Frome, was established in 1933 and is the only river swimming club in the country. 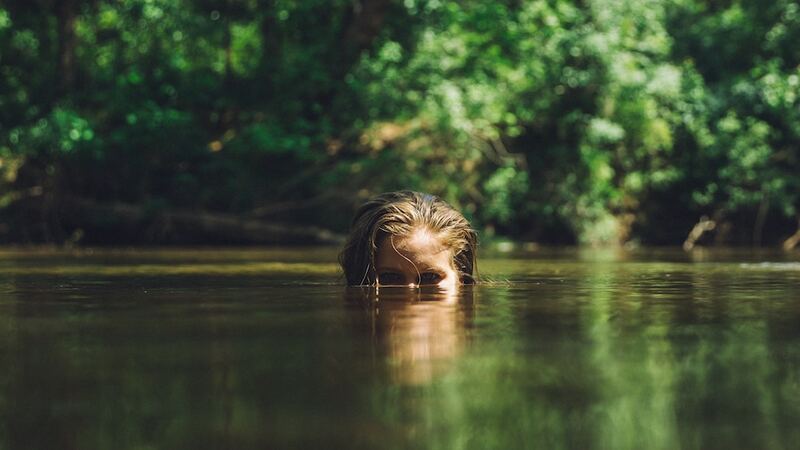 Swim in the fresh, deep waters of the river Frome above a little weir, with a meadow for picnics (and parking), loos and changing rooms. Sounds a treat. Not far away, on the same river, and also fab for a dip and deep enough to jump into are Tellisford Weir near Rode. Also on the river Avon is Claverton Weir (Warleigh Weir), a 100m long weir with deep water and shallow bits, surrounded by meadows. To get there, take the A36 to Claverton and turn left down Ferry Lane BA2 7BH. It can get busy on a hot day. Friends recommended a dip in the pretty and peaceful stretch of the river Brue between an old bridge and a weir in West Lydford, near Glastonbury. Slip into the river via St Peter’s churchyard. 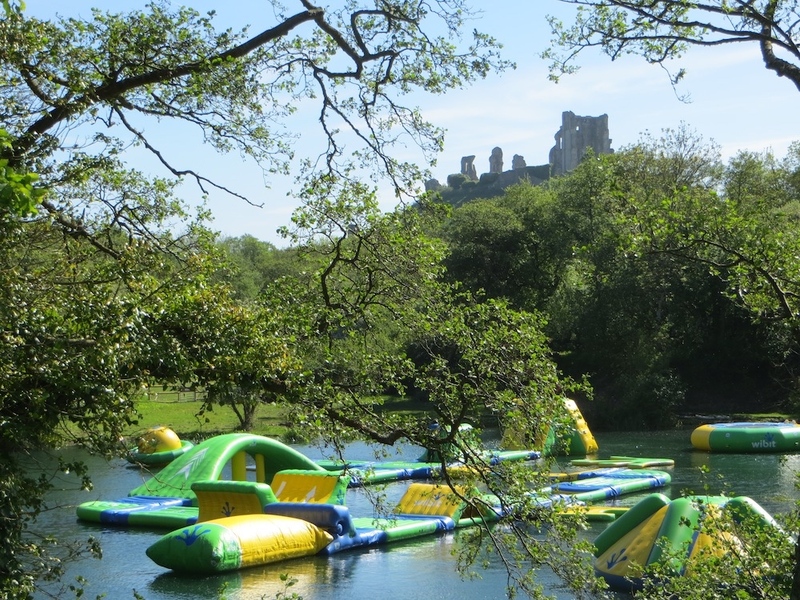 Bounce your way over the jumps, trampolines, bridges, flip bags and ladders of the two floating obstacle courses at the Dorset Water Park. An idyllic location at the foot of Corfe Castle on the Isle of Purbeck, too – check out our review here. Test your nerve on the Wild Kamikaze, Devil’s Drop and The Screamer (you will, I did) and other exhilarating slides, flumes and rapids at the outdoor Splashdown Quay West water park in Paington, Devon. Over in Cirencester, the Cotswolds Water Park will keep everyone busy with a huge inflatable village plus waterskiing, speed rides on inflatable doughnuts and bananas, sailing, swimming and wakeboarding. Another whopper, the New Forest Water Park in Fordingbridge in Hampshire has two trampolines, monkey bars, flippers, slides, hurdles, rockers, rollers, an overhang climbing wall, a swing *pause for breath* – and a giant iceberg.